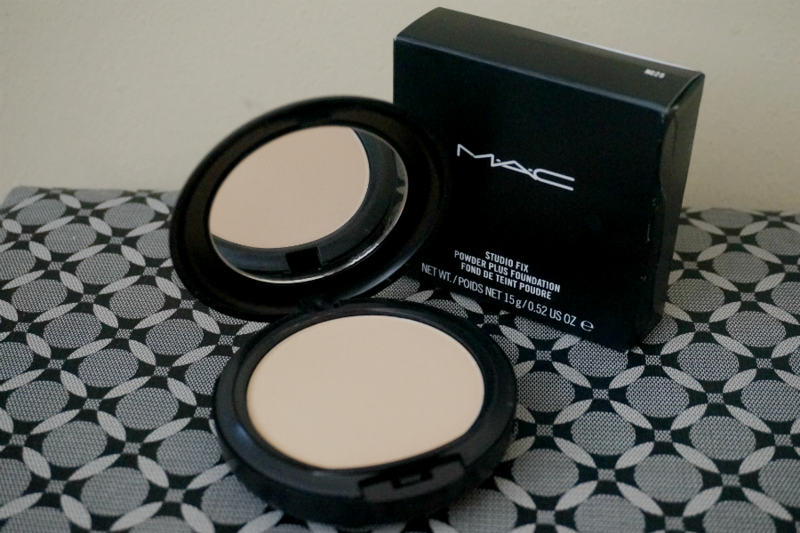 A one-step powder and foundation that provides a smooth, flawless, all-matte, full-coverage finish. Long-wearing, velvety texture allows skin to breathe. (source) 15 g / .52 oz at US$27.00 / Php 1500+ purchased online. I'm not usually a powder or foundation kind of gal and have relied on BB creams for the past years for my "face base/coverage" needs. 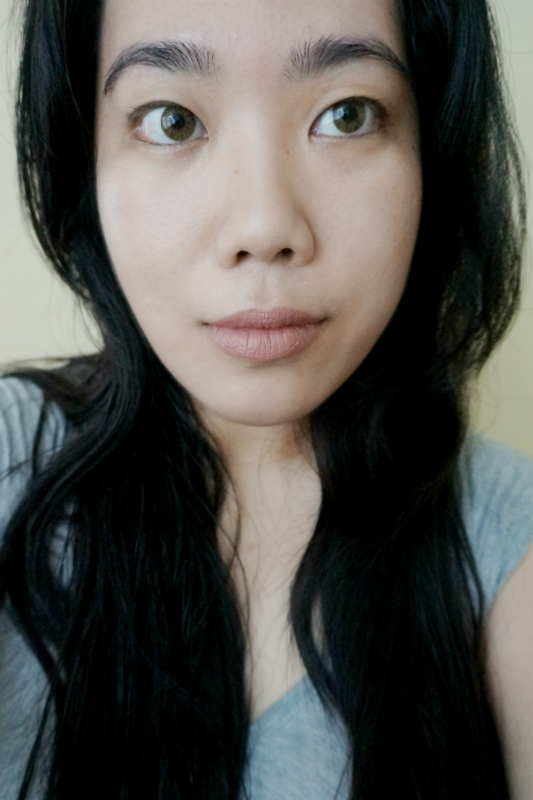 Recently, I have found myself experimenting more and have tried out several foundations in lieu of my BB creams. 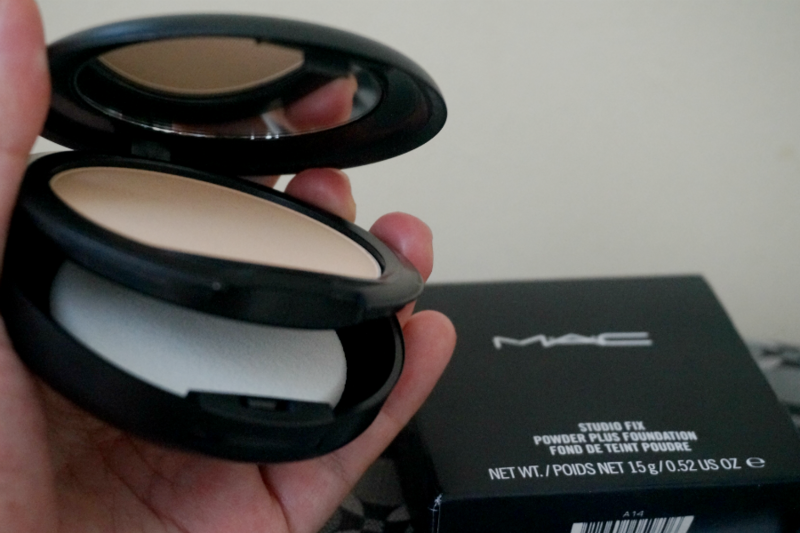 Since I've heard so much rave about MAC's Studio Fix Powder + Foundation, I decided to try this out. Face powders have a tendency to be cakey while heavier foundations just look so unnatural so I have stayed away from them from the start. I have always loved using BB creams as they provide enough coverage without being too heavy on my skin. I took a chance on this product and bought it with low expectations. 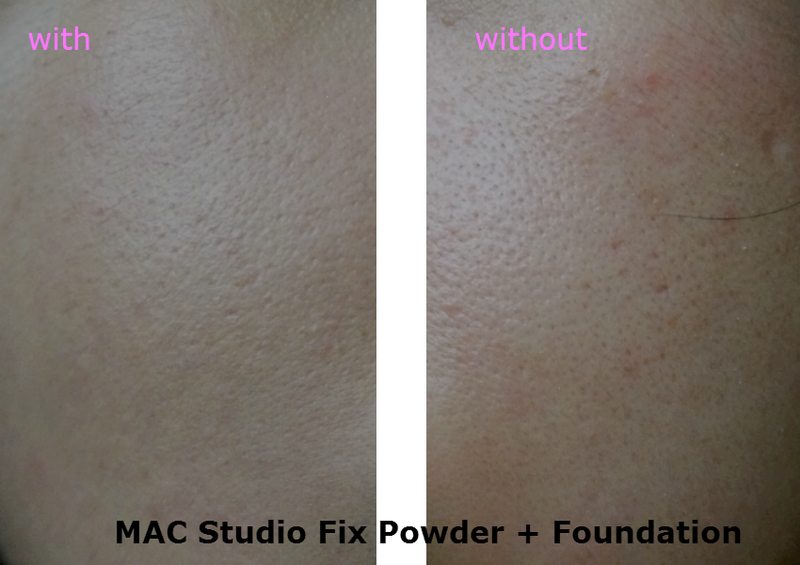 I'm glad to be proven wrong, as I was pleasantly surprised at how good MAC Studio Fix Powder + Foundation really is. While ordinary face powder would make my face feel heavy, this one didn't. Also, I sweat a lot; so powders would feel icky on my face after awhile. Studio Fix Powder + Foundation formula is lightweight enough that it feels like second-skin. It didn't weigh down my face at all. Above left picture shows my face with the foundation applied, the right without. The product provides just enough coverage to even out my skin tone and at the same time look totally natural. It doesn't appear to be cakey or too heavy. The redness and blotches are gone and minor discolorations are covered up without being too obvious. 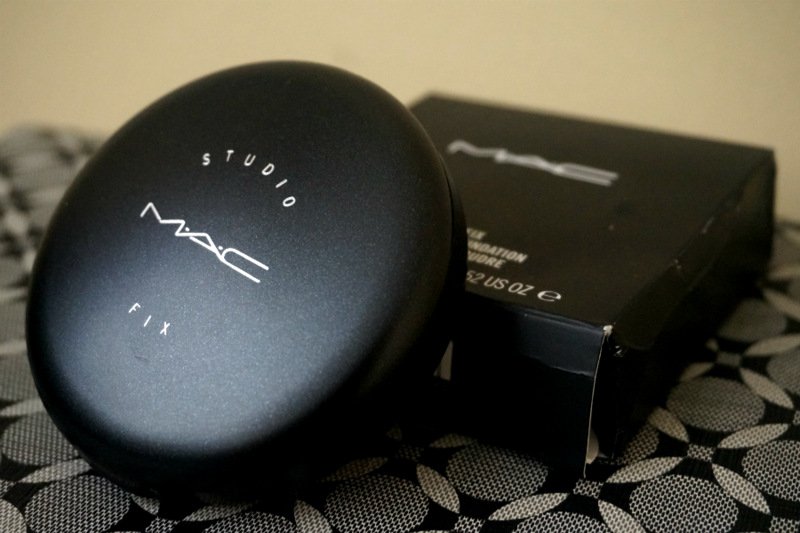 I applied the product using the sponge provided in the compact. I used just enough to cover up the unevenness in my face, conceal redness and my huge pores. The result is a perfect-looking and dewy skin with less oiliness. 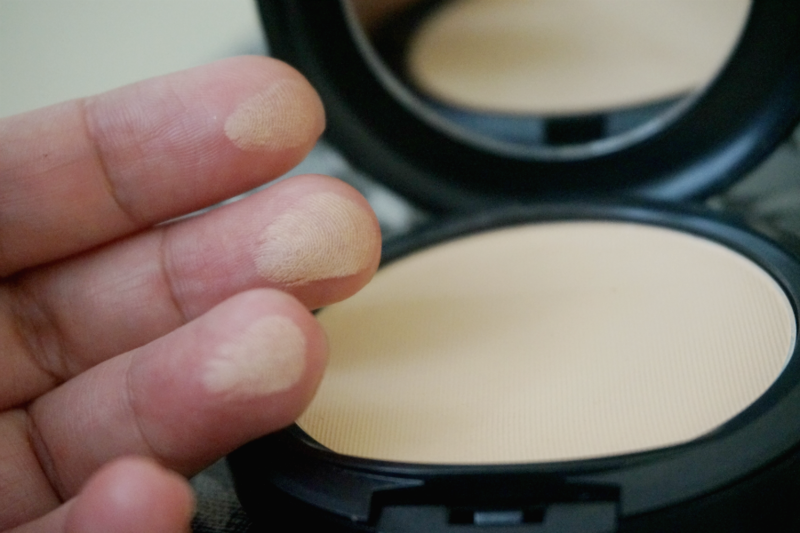 If you want more coverage, you can also apply with a heavier hand or use a powder brush. The product is very buildable so you can apply more to areas that need more coverage such as under the eyes and the sides of the nose. Be sure though that you don't apply too much as this has a tendency to turn very cakey. The trick is to apply just enough and find that perfect balance. 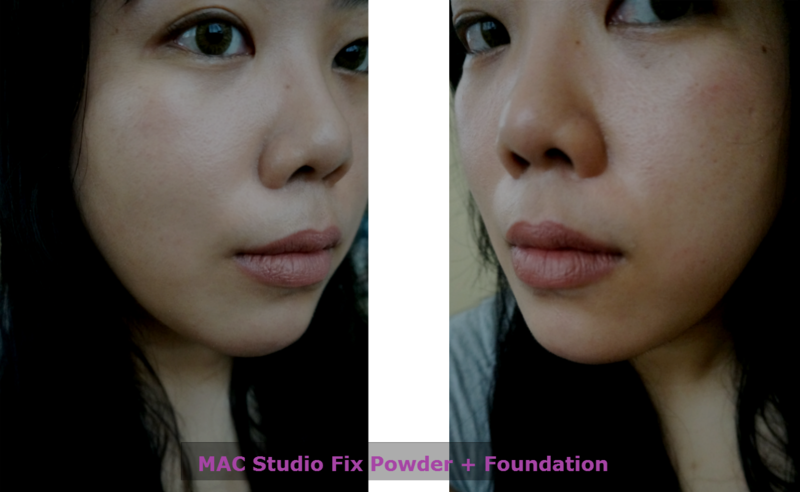 Overall: I'm very satisfied with the results I got from MAC's Studio Fix Powder plus Foundation. 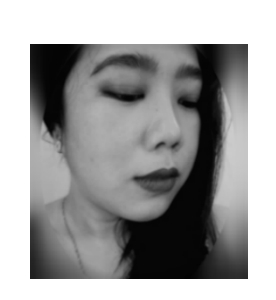 Application is fuss-free and fast, it's reasonably long-wearing (up to 4 hours, hot weather notwithstanding), and it resulted in a flawless, fresh and natural-looking face. This is an all-in-one product which will be a staple in my makeup bag in the coming days.